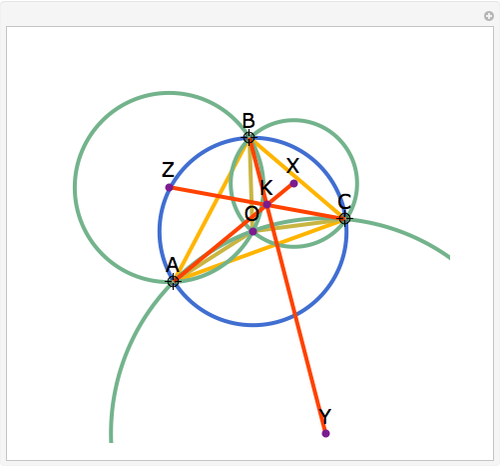 Let ABC be a triangle with circumcenter O. 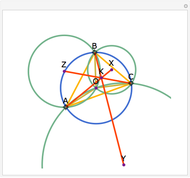 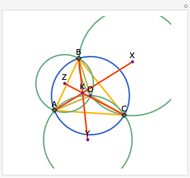 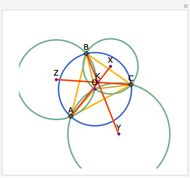 Let X, Y, and Z be the circumcenters of BOC, COA, and AOB, respectively. 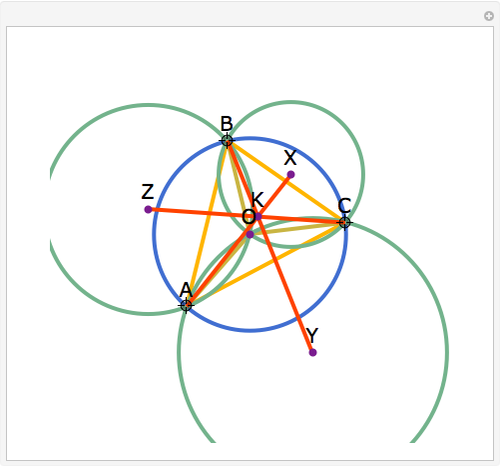 Then AX, BY, and CZ are concurrent. 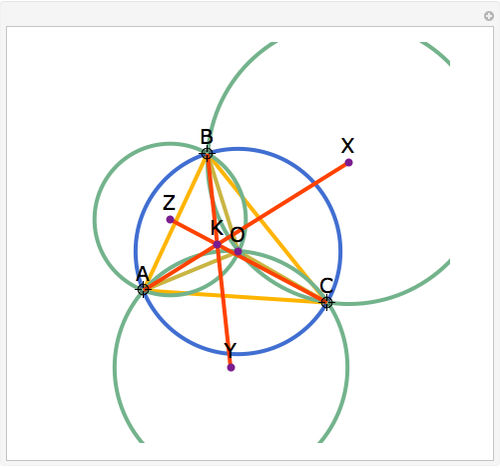 The point of concurrency K is called the Kosnita point.